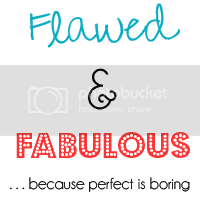 Meet Ashley from Justin & Ashley // Refreshing Imperfection! You will love her and her fun blog! 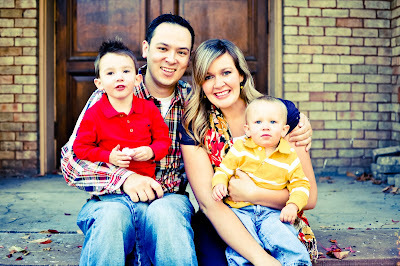 She shares stories about her family and their random happenings along with fun DIY projects! Isn't her family the cutest?! 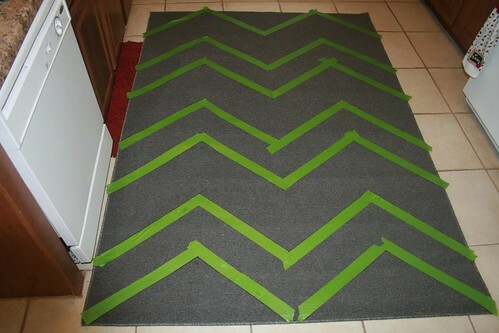 Well, today she is sharing with you how to make a DIY Chevron Rug! Enjoy! Hello Sloanbookers! My name is Ashley and I am a self confessed blog-a-holic. Once I admitted to my obsession, life was a lot easier ;) I write a lifestyle blog, about my nutrition, hobbies (refashioning almost everything), the tall dark and handsome nerd I adore, and our sidekicks aka little boys.. Its called Justin & Ashley //Refreshing Imperfection-and I like to think we are flawed and fabulous, all at the same time- because perfect really is boring, right? Enough about me! Let me show you some tricks! Today I am going to show you a little tutorial on Painting your own rug, particularly in chevron! is anyone else addicted to this pattern? I decided to do this little idea i found via pinterest. You will need a rug, fabric paint, a ruler, a pencil, paint tape! You are going to do lots of measuring first! I started by measuring the top length of the rug then marked off the exact half way point. Then you take the two halves of the top measure, and divide those in half as well and mark those off. Those will be your 3 points you work with. I used a 1 foot measurement, and from each point, I used the ruler and marked 12'' down to another marking. Then I used a ruler to mark off lines, connecting the marks to make the chevron pattern. Then, I applied the paint tape to altering lines, so I only painted every other line, it sounds confusing ;) Just look at the picture, you can see what I mean. After you get the marking and taping done the rest is easy cheesy lemon squeezy. You just paint! You need to use fabric paint, otherwise the rug with dry very hard and wont be very effective as a rug for the little children to play on. 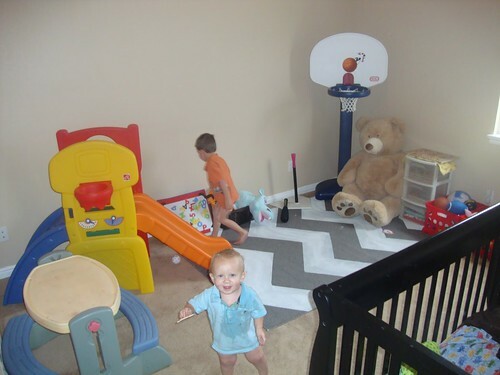 Here is the after, We used it in our boys play room! 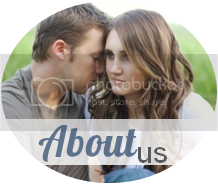 Please stop by with any questions or just to say hello on our blog, HERE! Also be sure to stop by and say hi to Ashley here! Wow that is pretty impressive! ah! i love it! thanks for stopping by my blog:) i hate that you missed the giveaway! no worries hunn, i'll be having some more soon! I LOVE that rug...how FUN and I didn't know you could pain rugs either! Also, your little ones are adorable!!! I had no idea you could paint rugs, either- this is fabulous!! Super-fun idea! Trendy and cute! I love this! I never would have thought to paint a rug! Thanks for sharing such a interesting post.....Really nice site have a wonderful ideas..